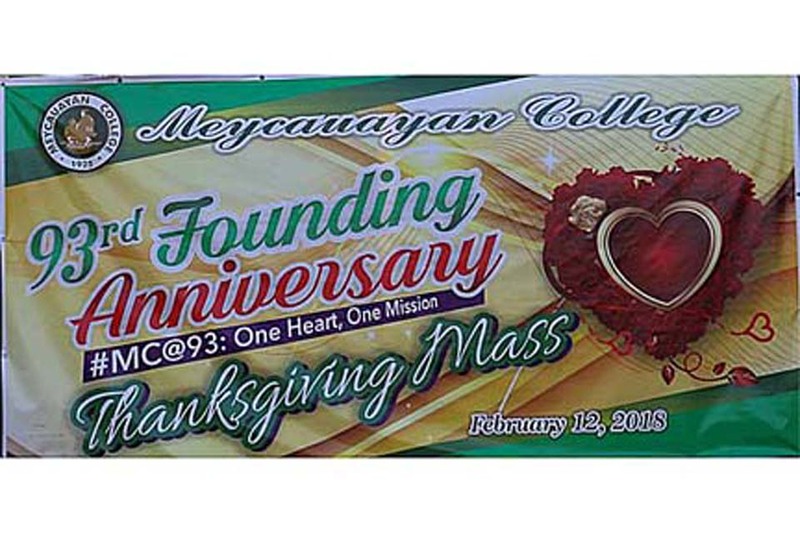 From its humble beginning in 1925, the Meycauayan Institute carried on with its mission. It was a continuous struggle for survival and recognition. The Board of Directors, the Administrators, faculty, personnel and the parents worked hand in hand for a noble cause. Their hopes were high, their aims lofty, and their purpose sincere. October 2008, the CHED gave the Government Recognition to operate Bachelor of Science in Hospitality Management (BSHM). Government Permit was also granted to operate Bachelor of Science in Travel Management (BSTRM) program and Bachelor of Science in Accounting Technology (BSAT). Additional courses were added in the Academic Programs such as: Bachelor of Science in Legal Management (BSLM), Bachelor of Science in Social Work (BSSW), Bachelor of Science in Criminology (BSCrim), Bachelor of Library and Information Science (BLIS), Bachelor of Physical Education (BPE), and Bachelor of Science in Legal Management. From 1929 to the present, the Meycauayan College, has graduated thousands of alumni who have assumed respective positions in their chosen fields: education, business, computer technology, and other industries. To honor those students who successfully passed the licensure examination, as Certified Public Accountant, Registered Professional Teacher, Registered Guidance Counselor, Registered Psychometrician, Registered Social Worker, Registered Librarian, and Licensed Criminologist, their names were etched in the wall of board passers. The Meycauayan College cannot forget its founders, administrators, and all the people behind its growth and development. It’s present administration pledges to move forward with its commitment to the youth and the community. It’s mission and vision is geared towards meeting the challenges of times and is attuned not only with the national needs and goals of the country but also with global requirements.